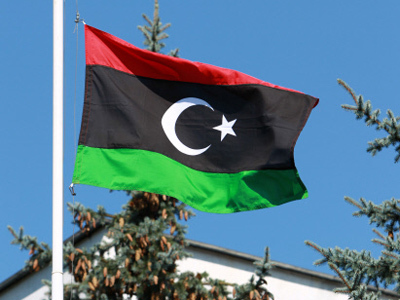 Moscow has recognized Libya's National Transitional Council as the legitimate governing authority. Russia has become the 75th country to officially recognize the Council. ­Speaking shortly after the announcement, Russia’s foreign minister, Sergey Lavrov, said Russia had not wanted Gaddafi to remain in power, but opposed NATO's methods of removing him. “Russia has never approved of the former Libyan regime. Back in May, President Medvedev clearly stated that Gaddafi should go. But the way the United Nations resolutions were implemented by some NATO members and a few other states meant that the principle of the supremacy of law was being disregarded. The African Union and UN initiatives were ignored, leading to an increase in the number of civilian casualties – although it is the protection of the civilian population that was set as the major objective of the Security Council resolutions, and NATO subscribed to implementing them. We're absolutely sure that justice cannot be done using unlawful methods,” stated the minister. Muammar Gaddafi has urged tribes to continue fighting the rebel forces in his fourth audio message since he left Tripoli and went into hiding, reported the Syria-based Al-Rai television station. He has also accused rebels of using mercenaries in the ongoing armed conflict in the country. The television station also aired written extracts from a message on Thursday that is promised to be broadcast later. 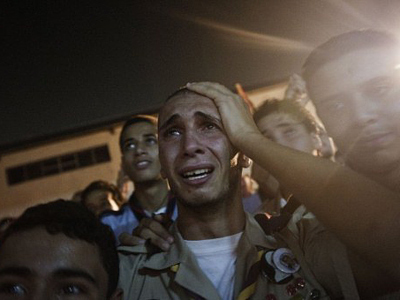 Meanwhile, Colonel Gaddafi's son Saif Al Islam has vowed to fight to the death, saying nobody will surrender in the town of Sirte – the last loyalist stronghold. That is shortly after his brother Al-Saadi allegedly offered to mediate with the rebels to stop the bloodshed, leading to speculation about a split in Gaddafi’s inner circle. Al-Saadi Gaddafi was appointed by his farther to mediate negotiations with the rebels on forming a transitional government. The rebels rejected the peace proposal, saying they would not negotiate with criminals and could only offer him a fair trial. They also claimed on Thursday that several senior members of Gaddafi's regime have fled to Algeria, says the Al Arabiya television network. 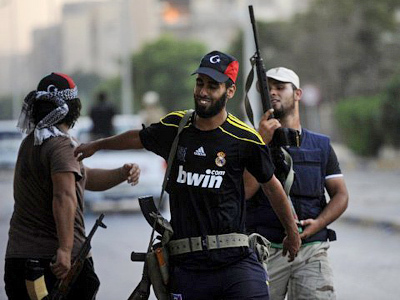 The capital, Tripoli, now appears to be under the full control of the rebels which has led them to make an optimistic assessment progress on the ground at the press conferences held almost daily with the international media in Tripoli. The rebels say the situation is fully under their control and Gaddafi’s forces have been knocked out of the last districts of the capital. 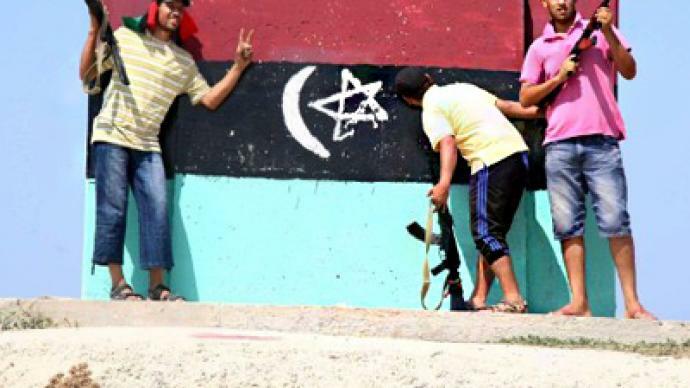 The rebels say the National Transitional Council will soon move its base from Benghazi to the capital. 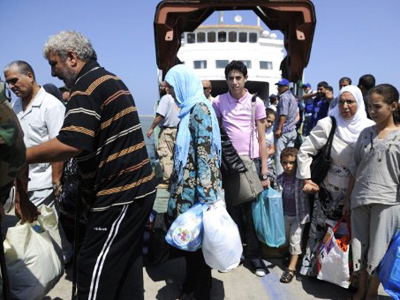 However, the situation in Tripoli remains unstable from both a humanitarian and security point of view. The city is flooded with weapons, many of them in the hands of young and inexperienced people. Many civilians, including journalists, have been wounded in ‘celebratory’ shootings. 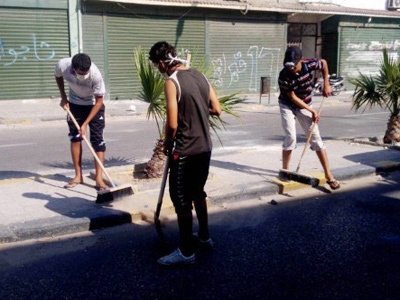 Tripoli’s citizens say they do not feel safe in their city, and are afraid to leave their houses after sunset. The humanitarian situation is also extremely complicated. There is still no running water, the electricity is regularly cut off, and there is a shortage of food and medicine. Skeptics say the rebels are too badly organized to manage the crisis, while the rebels themselves promise the situation will return to normal very soon and they are working hard to restore normality.